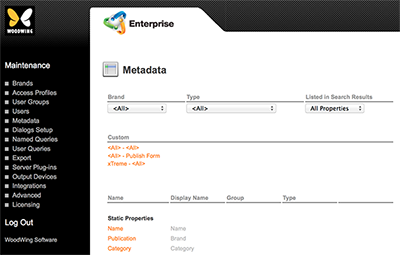 The Metadata Maintenance page in Enterprise Server 9 shows all metadata properties that are available in Enterprise Server. Figure: The Metadata Maintenance page. Tip: Use the lists at the top of the page to filter the content of the page so that you can quickly find the property that you are after.